2019 is our 19th event! 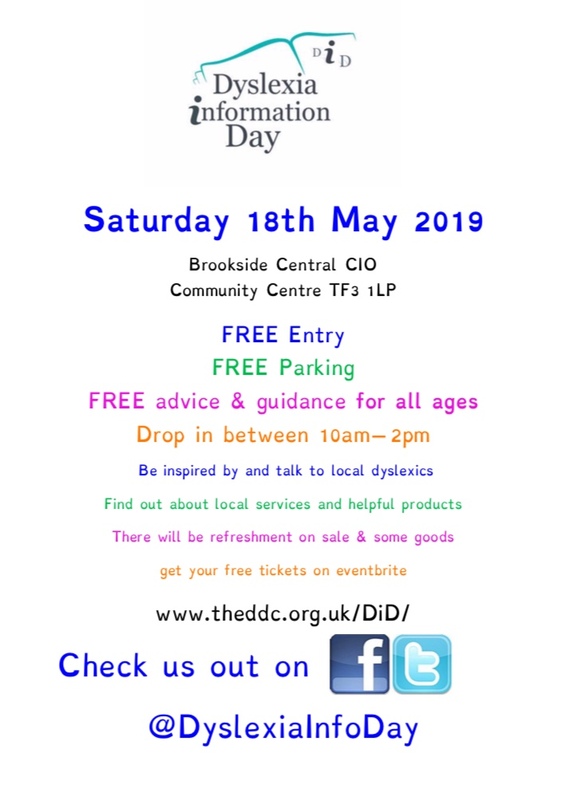 Dyslexia information Day 19 is taking place on Saturday 18th May 2019! Back out into the community by popular demand, and we are starting this by being at Brookside Central CIO community Centre based in Telford TF1 3LP. The focus is as about dyslexics doing what they love! In relation to work and business. and in keeping with our usual theme of Dyslexia doesn’t mean failure! FREE Entry: you can either get your tickets via Eventbrite – or you can just turn up on the day: we just do tickets via eventbrite to help us guage visitors numbers for printing, crefreshments etc. so don’t worry if you forget to bring the ticket with you, you don’t need it to get in.